The bulls of Bitcoin might just have got the technological signal which was hoped by them for long. Bitcoin, which happens to be the world’s most popular crypto currency as well largest crypto currency in terms of total market capitalization; has risen above the level of the last 50-days average for the first time in this year. 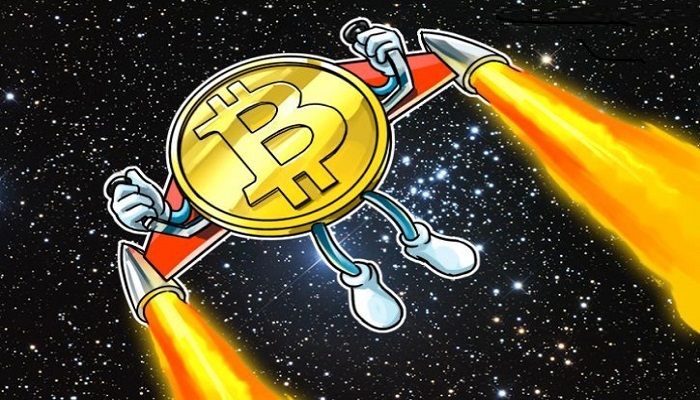 With this, the Bitcoin is sitting comfortably at the level of 5.8 per cent upped on the previous Monday that is at 5th of March of 2018; which incidentally is the largest level of expansion in the passing two weeks. This rebound has come after quick fall from the record breaking highs which happened in the month of December in the last year which is 2017. There was an ongoing debate carrying forward on the way the regulations shall be brought in as well as the security aspects of the transactions amid some crypto currency looting incidents in the Japanese markets. Hence, this crossover upping the 50-days moving average shall be taken up in great spirits by investors as well as people who are enthusiastic about the trading aspect of Bitcoin as well as other crypto currencies. An upgraded enthusiasm is likely to boost the prevailing positive emotion regarding the crypto currency phenomenon. This shall cause the prices of Bitcoin to rally a bigger achievement and it is speculated by monetary experts all-round the world that soon Bitcoin shall surpass its own highest rallying point which it achieved in the last month of the year 2017. In the meanwhile the latest buzzing news is coming from the United States Marshals Service. It has been learned that soon the United States Marshals Service shall sell it all of the owned Bitcoin which are amounting to a whopping amount of $ 25 Million. This US government’s federal agency has made an announcement in this regard on the previous Monday that it has decided to sell off 2170 Bitcoin it has accumulated; in an planned sale event to be held on 19th of March in this year. The conditions for eligibility too have been put in of the regard that people need to make a deposit of $ 200,000 to carry forward the bidding process as an addendum of the completion of registration process. The United States Marshals Service has accumulated more than 2170 Bitcoins in regard of various administrative, civil and criminal cases of federal nature which range from narcotics smuggling to forgery and cheating cases.